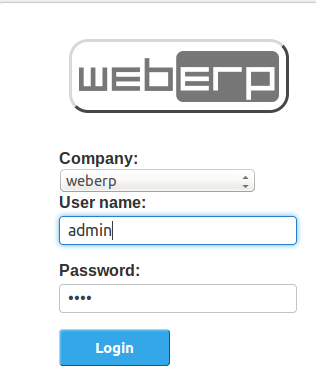 WebERP is an open source, web based accounting and business management system for Small and Medium Enterprises (SME). It is a widely used ERP system on all popular operating systems like Microsoft Windows, Linux and Mac OS. It can also act as an online shop or a retail management system for your business. This application is available in multiple languages and has been deployed and used at many organizations and has gained users’ satisfaction and trust. It is entirely web based so you can access it remotely too from anywhere in the world. It can run on any operating system and web server until PHP web pages are served by the respective web server or operating system. It can produce PDF formats of various business and financial reports for easier presentation and understanding. It is a multi theme web based application, so different users can apply their own themes and enjoy the look and feel of their own choice. It is fully utf-8 compliant application, highly optimized and fast processing. It lets you add multiple inventory points and easily track them using unique serial numbers. Let’s see how we can install this application on Ubuntu operating system. Kindly note that it is developed in PHP and uses MySQL on the backend for database. So in order to install and use this ERP system, we must have following component installed on our ubuntu system. Launch your system terminal window and run following command to install LAMP stack on your system. Lamp stack comes bundled with all three components (Apache, MySQL, PHP). 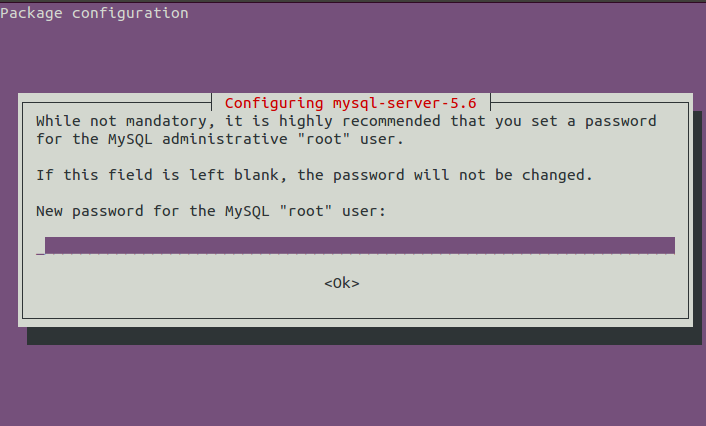 During the installation process, you should see a pop up window asking to set root password for mysql. 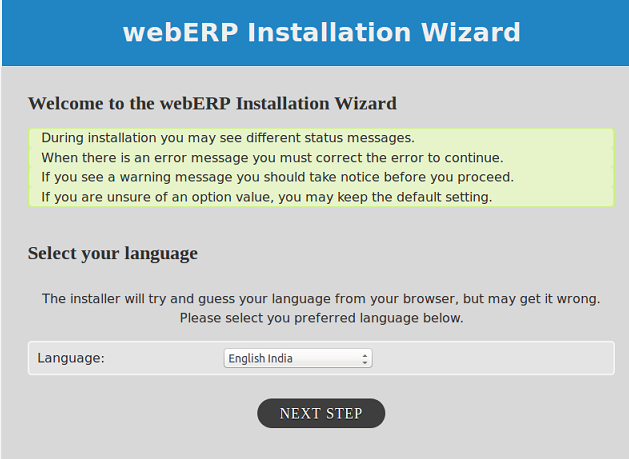 Note down the password you set here as it will be used later when we will initiate the install process for WebERP. As soon as the installation of Lamp stack is complete, run following command to start apache service. Load your browser and launch http://localhost to verify that apache is working fine on your system. Successful installation should display page as shown below. Important Note: Please note that the default document root for Apache 2 is /var/www/html. Either you change the apache document root to your desired location or you should upload your web pages on this path so that apache may serve them successfully. 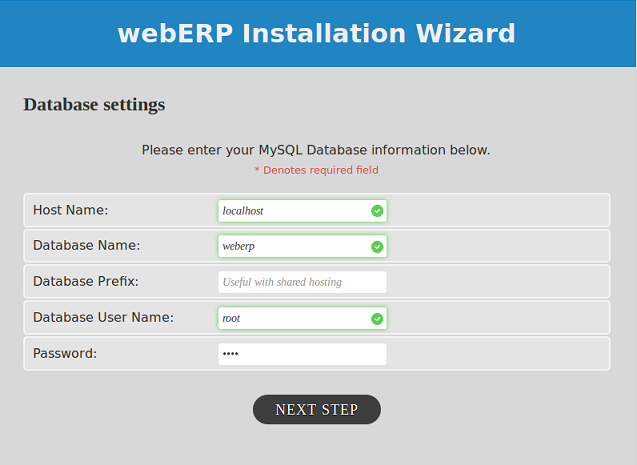 Let’s create a mysql database for our new WebERP installation. Login into mysql using root password we specified earlier. Let’s download the zip file for WebERP from following URL. Once the download process is complete, run following command to move it to apache document root directory. Load your browser and launch http://localhost/webERP . 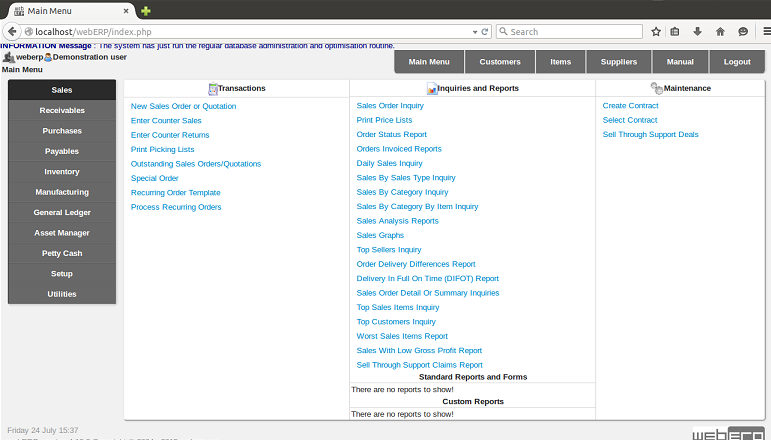 It should display page as shown in the following screenshot. Choose your preferred language from here and click “Next Step”. Now specify your database logins, you just need to enter your mysql root password here, all other details are auto updated and are fine. If you have created database with some different name then specify that name here in “Database Name” text box. You can keep “Database Prefix” option empty. 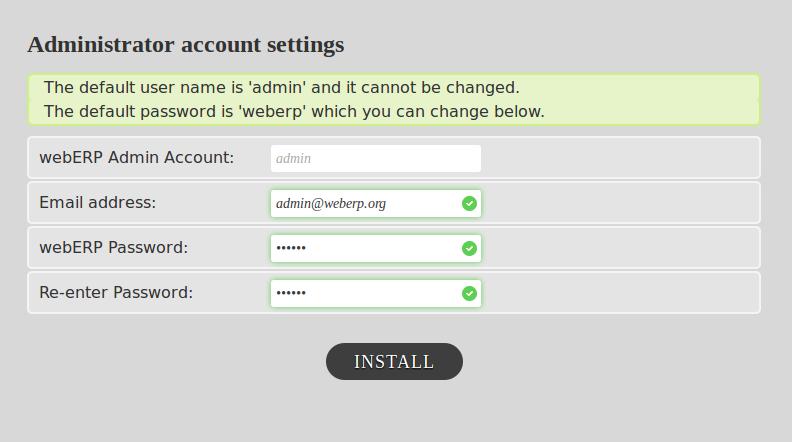 Click “Next Step” to take installation further, here specify your admin user password, the default password is “weberp”, but you can specify the password of your own choice here. You can not change admin username though. Login and start using this wonderful application. 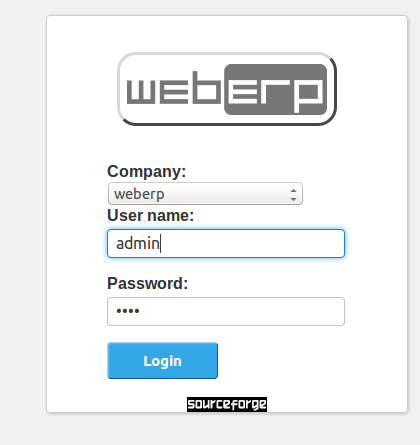 WebERP is an easy to use application in the true sense. Although it is lacking Payroll module, but it still fulfills the business and accounting needs of any organization to great extent. If you are already using this application or like the way it works, say thank you to the development team by donating on the project official page.